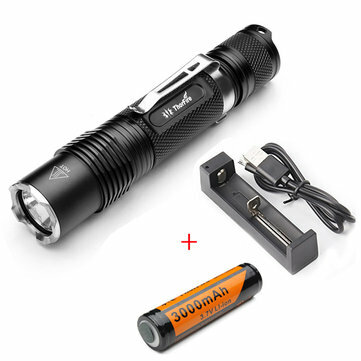 1.VG15S LED flashlight is the upgraded version of ThorFire VG15 flashlight. VG15S is brighter and has 5 more reasonable brightness levels. 2.Five modes outputs is available from daily use to outdoor and professional use. The function is also very practical when you use it for different scenarios. 3.Made of Aircraft-grade Aluminum and premium type Ⅲ hard-anodized anti-abrasive finish. Long lifespan with 20 years . While even 360H for Firefly mode. High-efficiency reflection lens. 4.This unique feature means when you use the light again, it starts on the mode you left, which saves your energy and time to a extent. Intelligent as it is. Click the tail switch to turn on/off. Tab to change modes in the order: firefly, low, mid, high, turbo. Quickly double tap to activate strobe which needs some practices at any mode.